A flawless tale that digs through all important emotions while still keeping people of all ages entertained. The defining animated film of our generation! Pixar proves once again that they belong at the top of the animated studios - and can still give most live action films a run for their money. 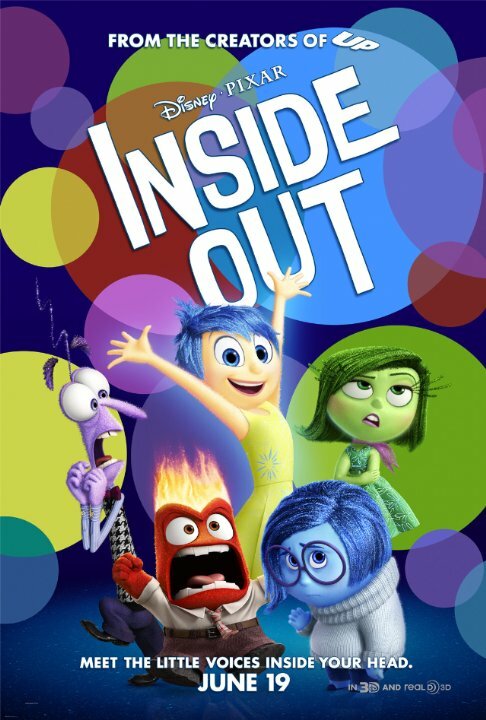 Inside Out is an emotional journey - funny, heartfelt and,despite the premise, very much set in the real world. The voice talent is impeccable, the visuals are superb and the music spot on. I especially love the little touches - the musical jingle you can never get out of your head, the journey into abstract thought, the way memories fade - it's all very well-thought-out and very imaginative. Ranks up there with the best Pixar films. Inside Out is Pixar's full on best original movie since Up thanks to taking its wtf premise and rolling with it up to the nth degree and milking all the imaginative storytelling they can muster for all it's worth. The boisterous visuals and heartfelt performances help lift up the potentially one-joke plot into an excitingly unique and emotionally sincere experience. The voice cast and character are all good but because you spend more time with certain characters like Joy, Sadness, and imaginary friend Bing Bong (Richard Kind in his best Pixar appearance yet) they're more memorable than others. Well done Pixar! Well Done! When it comes to animation, Pixar rarely disappoints. As of late however, Pixar has released more sequels than original concepts, so it was nice to see a company that has produced classics such as �Toy Story� and �Finding Nemo,� return to form in June 19�s �Inside Out�. �Inside Out� centers on a young girl from the Midwest named Riley, whose life is changed drastically when she and her parents move to San Francisco. While Riley is technically the main character of the story, her personified emotions of Joy, Sadness, Fear, Anger and Disgust comprise most of the screen time, with Joy and Sadness being the true stars of the show. These characters constantly control Riley�s emotional state like a well-oiled machine, and also preside over her memories. No posts have been made on this movie yet. Be the first to start talking about Inside Out!